When I was young, I never had a desk in my bedroom, but if I did have one, I would have wanted it to be this pirate shark desk! 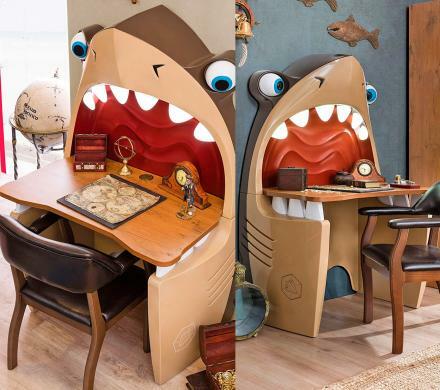 Not only does it provide a great area for a child to do homework or draw, but it also makes it fun by making it look like you're about to get eaten up by a giant shark with his mouth wide open. 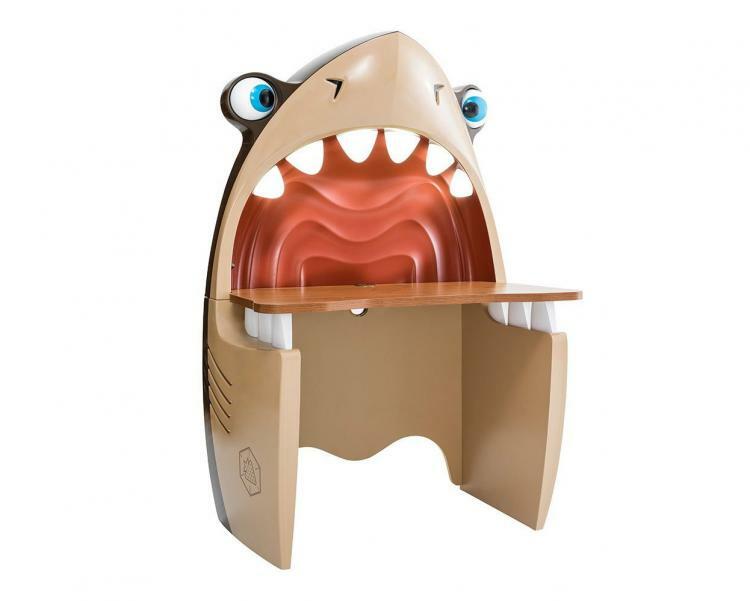 The unique shark bit kids desk features a wooden plank that 's held by the sharks mouth, and the sharks head and face protrude up behind the desk. 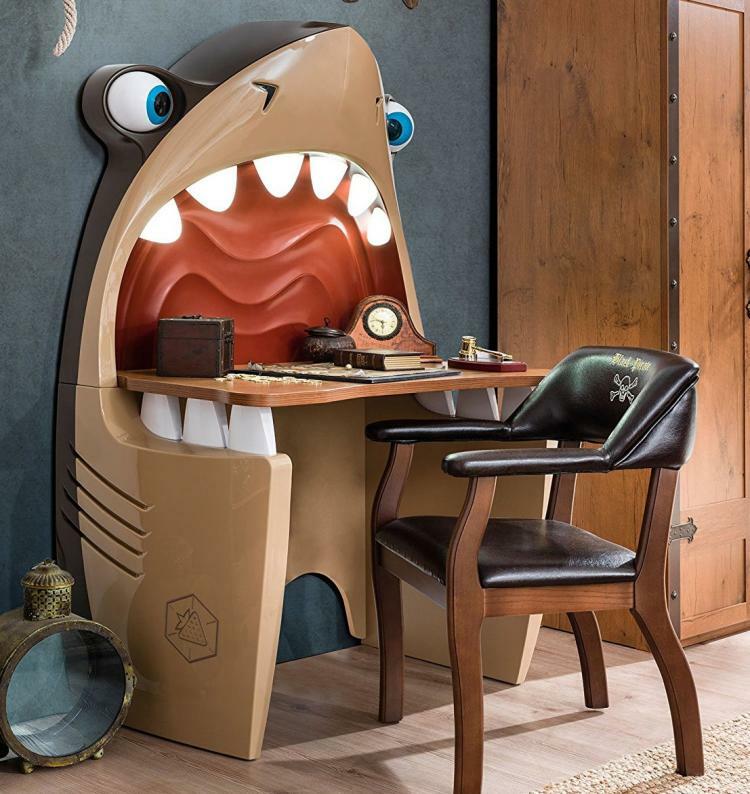 The shark has giant eyes to the side of the head that you can actually move around to have him looking in any direction you like, plus the teeth are actually lights that you can turn on with a switch located inside the sharks mouth. 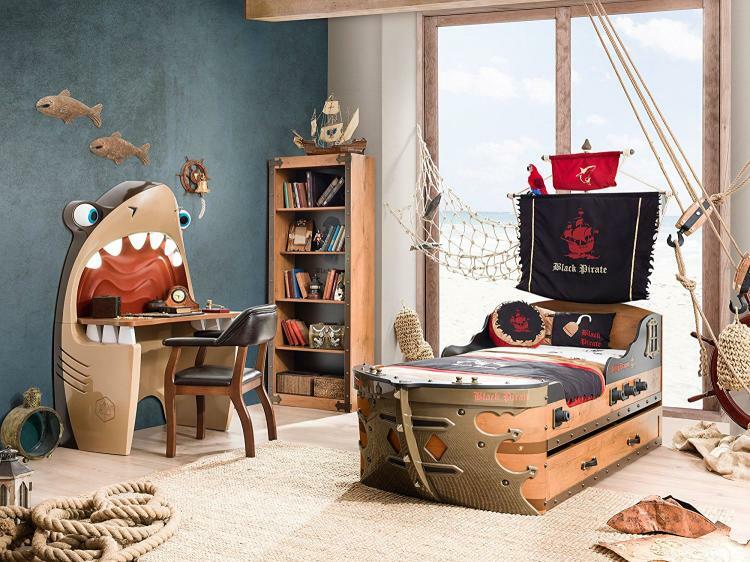 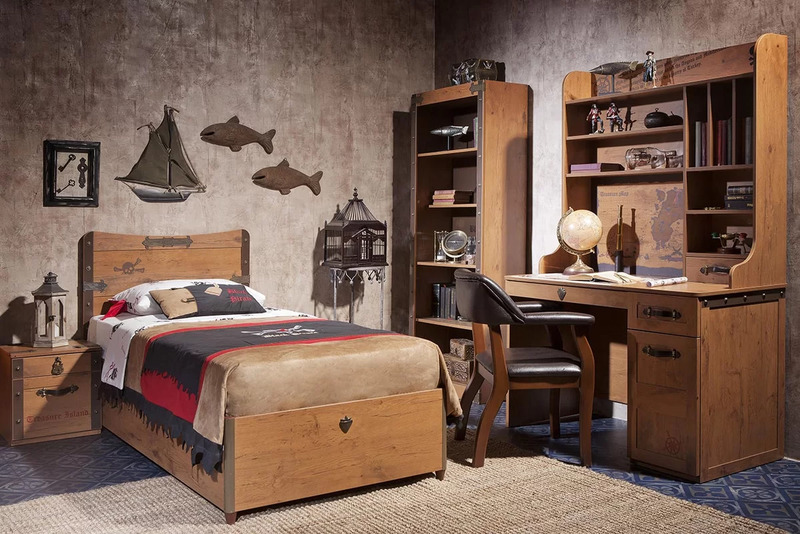 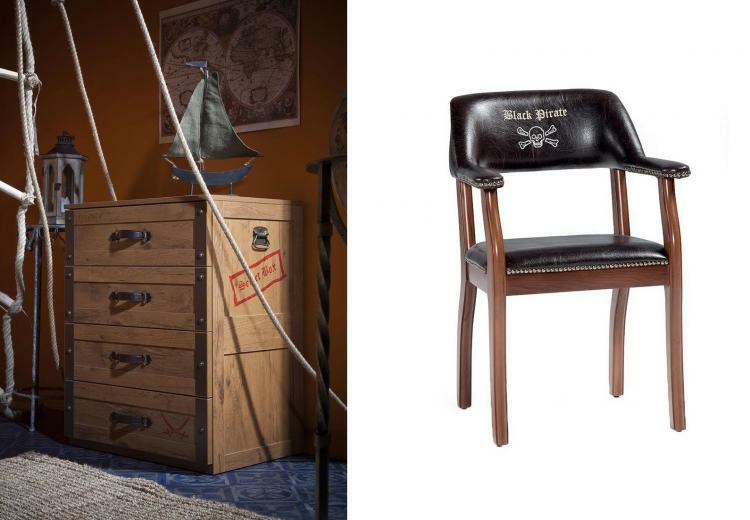 The pirate shark kids desk is part of a whole pirate themed kids bedroom set, that includes a pirate bed, a treasure chest nightstand, a pirate themed dresser, a pirate chair for the desk, a pirate lamp, a pirate themed armoire, and more. 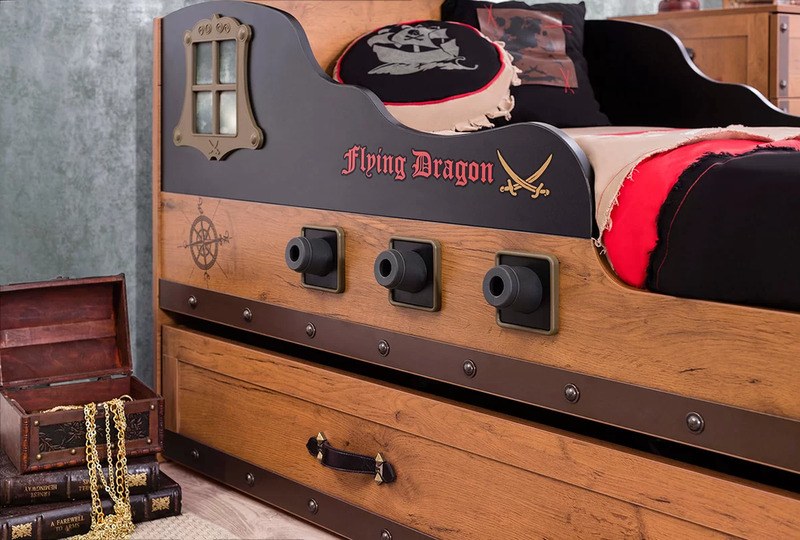 So if your child loves pirates, and are looking to redecorate their room to address their newfound love, you've come to the right spot. 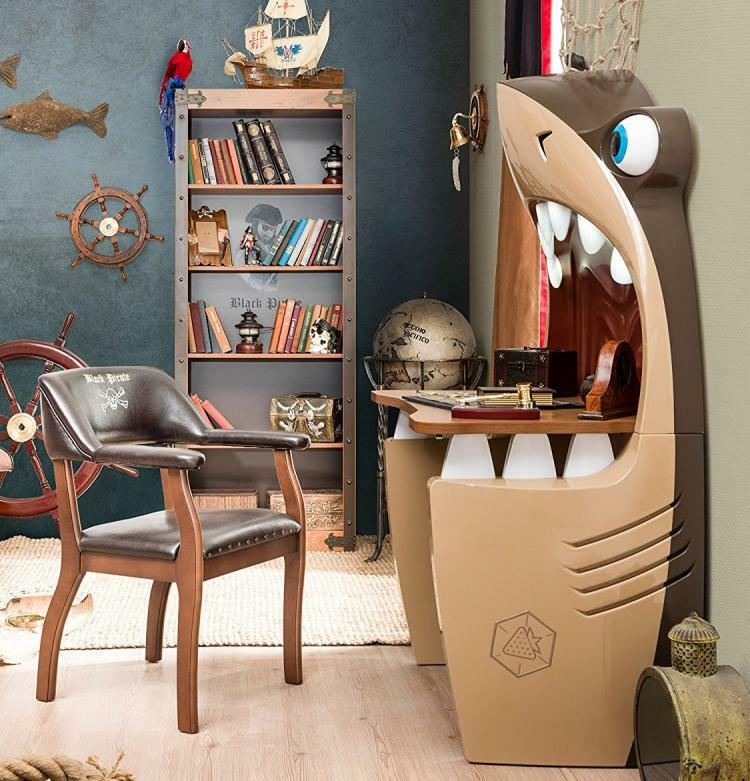 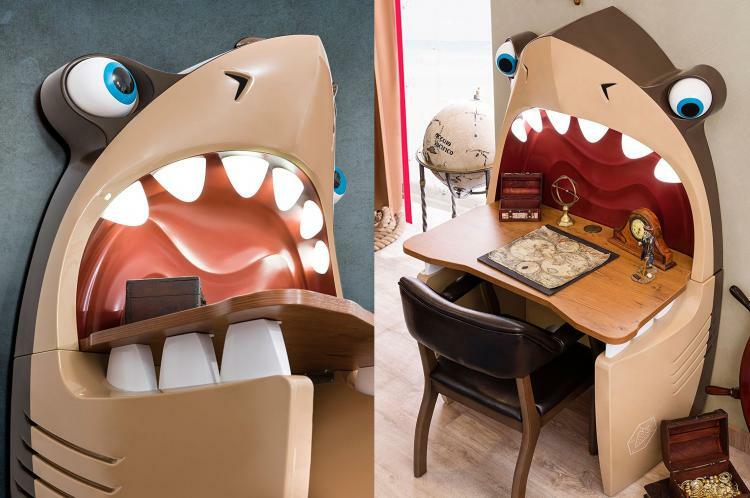 Created and sold by Cilek, a Turkey based company that makes unique kids furniture and bedroom sets, the pirate shark kids desk will measure 40 inches wide x 24 inches deep x 62 inches tall when full assembled. 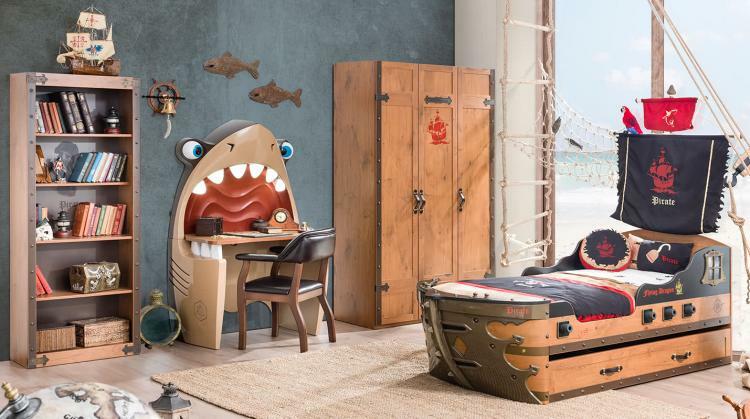 Another cool feature is that the shark teeth lights have 3 different dimming levels depending your child's lighting needs. 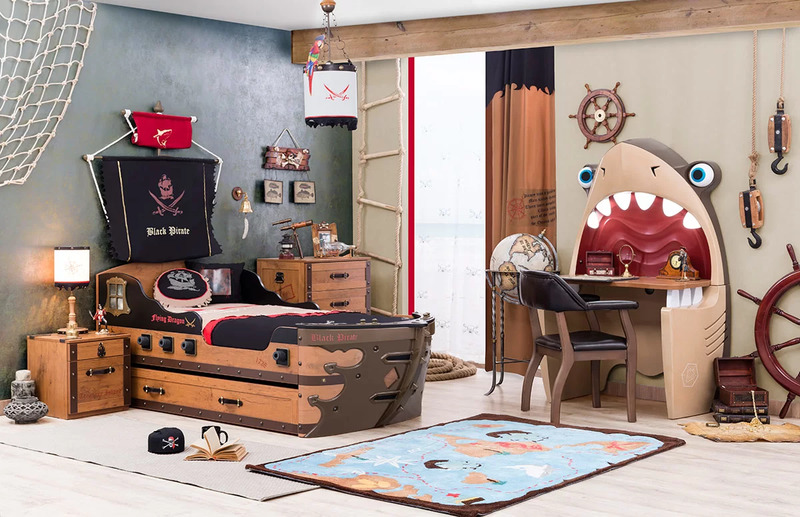 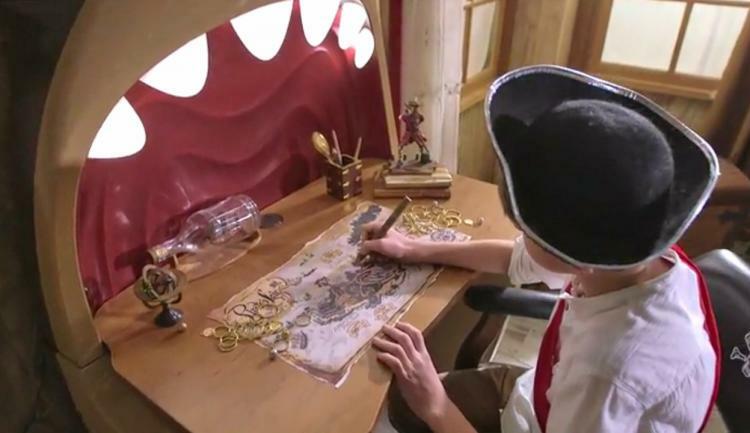 Check out the kids pirate shark desk and full pirate themed bedroom set in action via the video below. 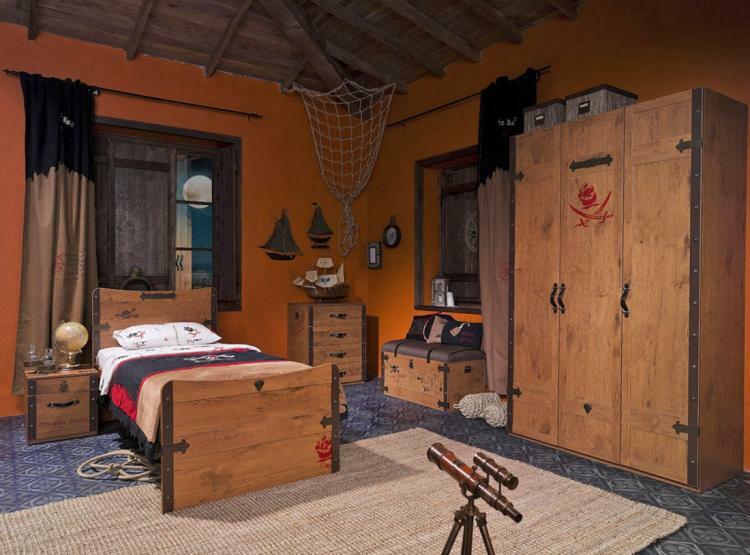 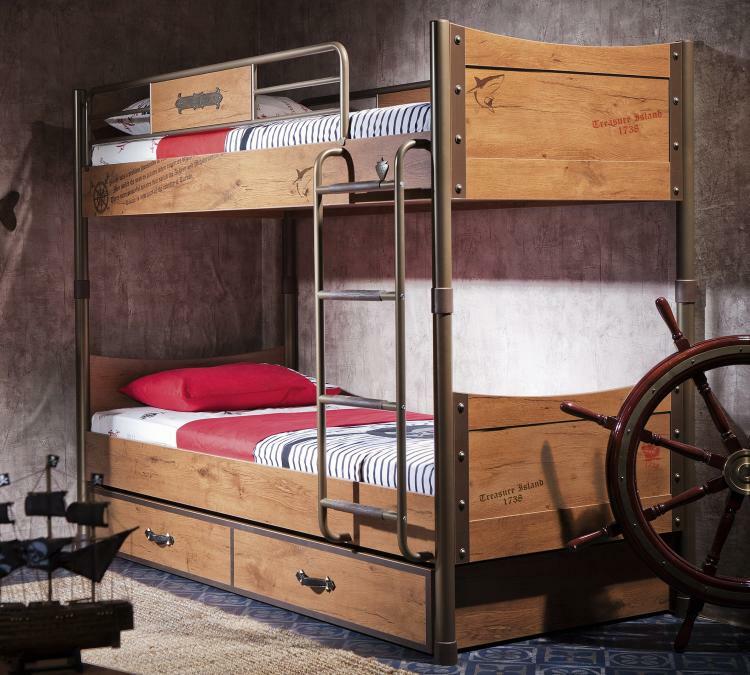 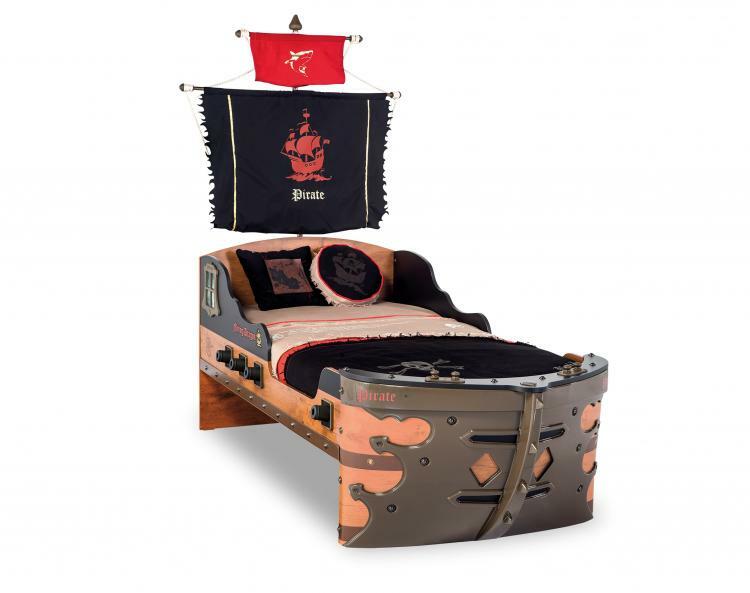 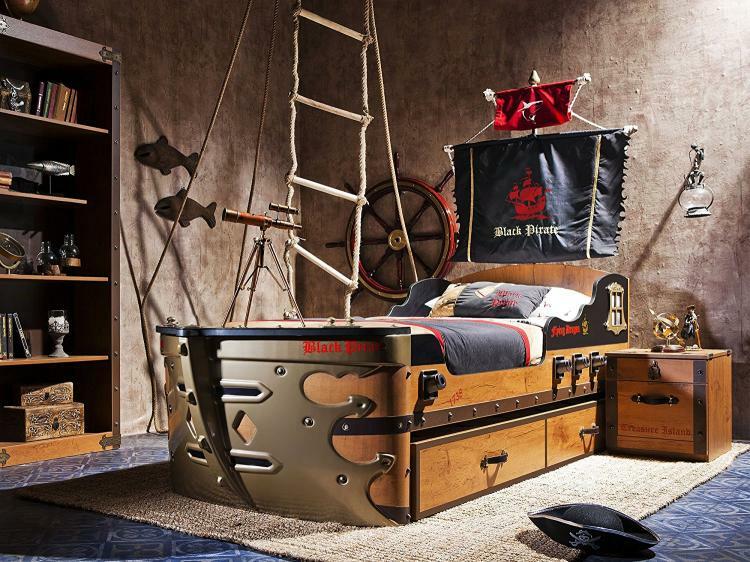 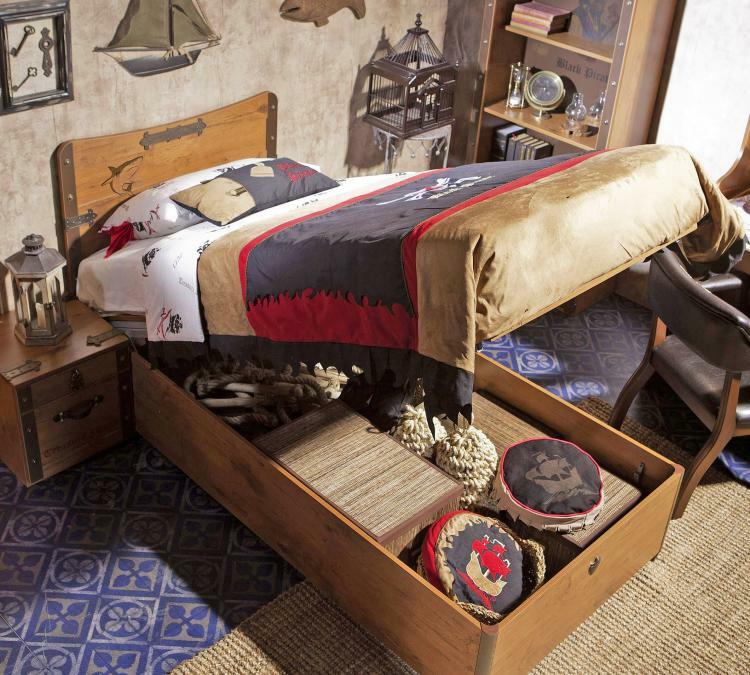 Check out the rest of the pirate themed kids bedroom set in the pictures below. 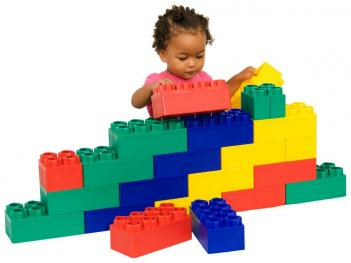 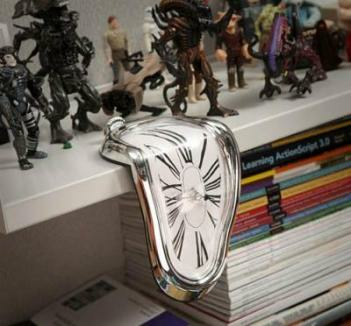 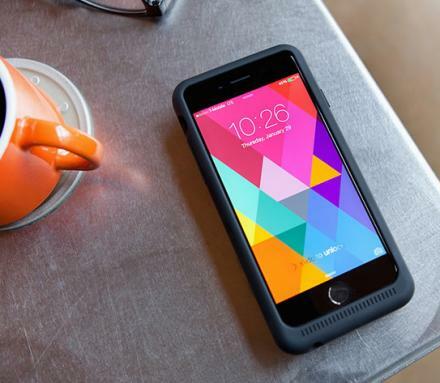 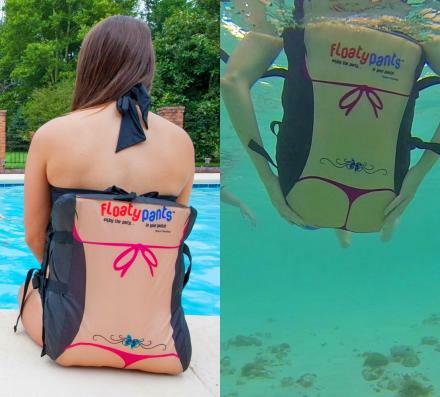 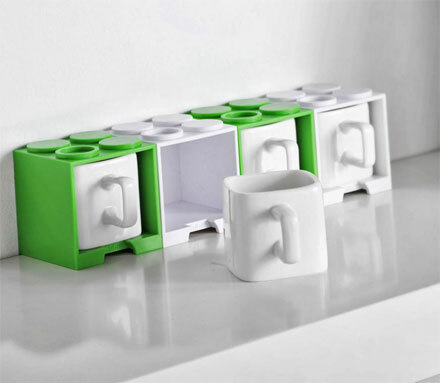 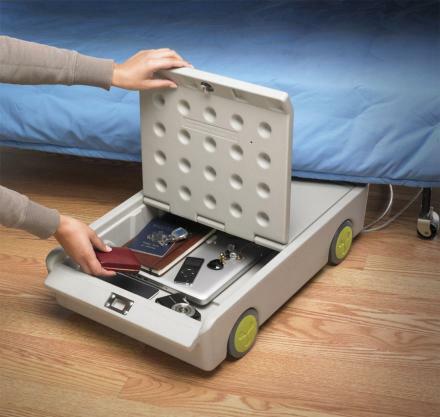 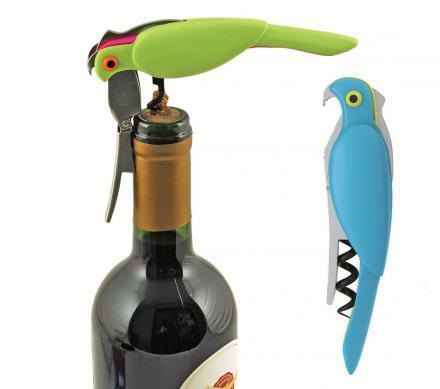 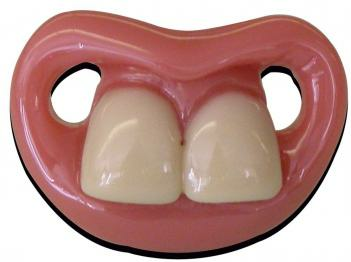 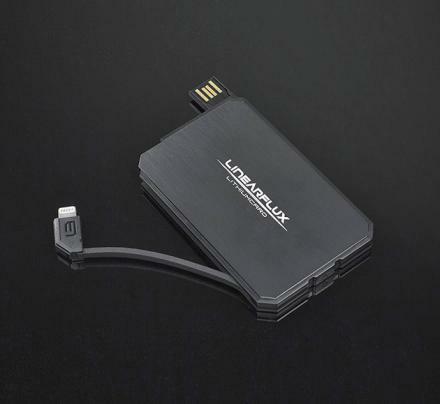 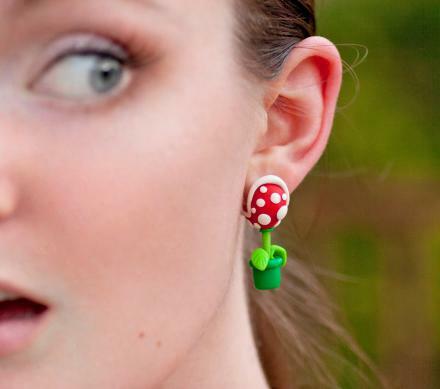 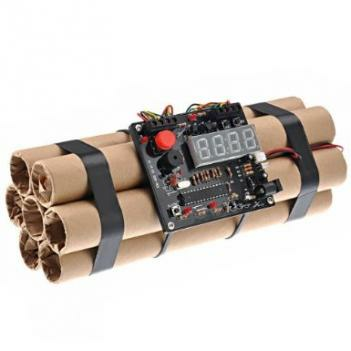 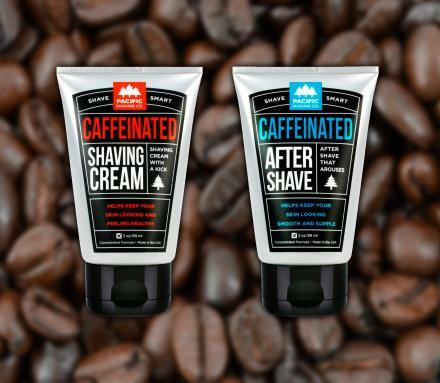 See purchase link for most items features at the links at the top of the article.